Slender montane rattan, similar in all respects to C. divaricatus var. divaricatus but differing in the much smaller leaf, not exceeding 25 cm long, bearing regular, lanceolate close leaflets, not at all divaricate, to 15 x 2 cm. Known only from G Dulit. Endemic. 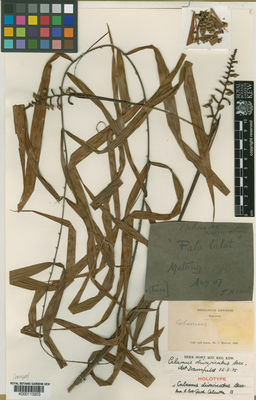 Calamus divaricatus var. 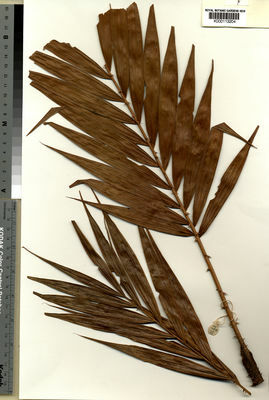 contrarius J.Dransf.